Classic boot style just got a little bit more head-turning thanks to the Born Campbell. This women's knee-high boot features beautiful full grain or suede leather uppers, with double gore running the legth of the shaft to accommodate a variety of calf sizes. The microfiber linings provide an inviting environment, and the cushioned footbed helps you feel comfortable all day long. An adjustable strap makes getting in and out a breeze, while the Opanka handsewn construction provides superb durability without sacrificing flexibility. 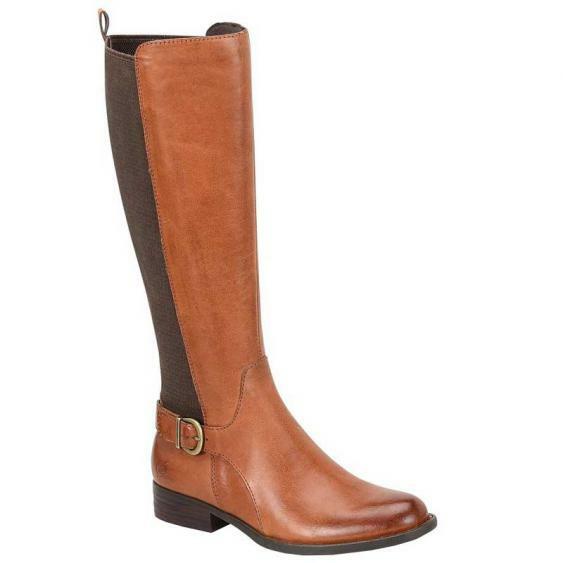 Equestrian inspired style and feminine luxury combine in the Born Campbell boots.